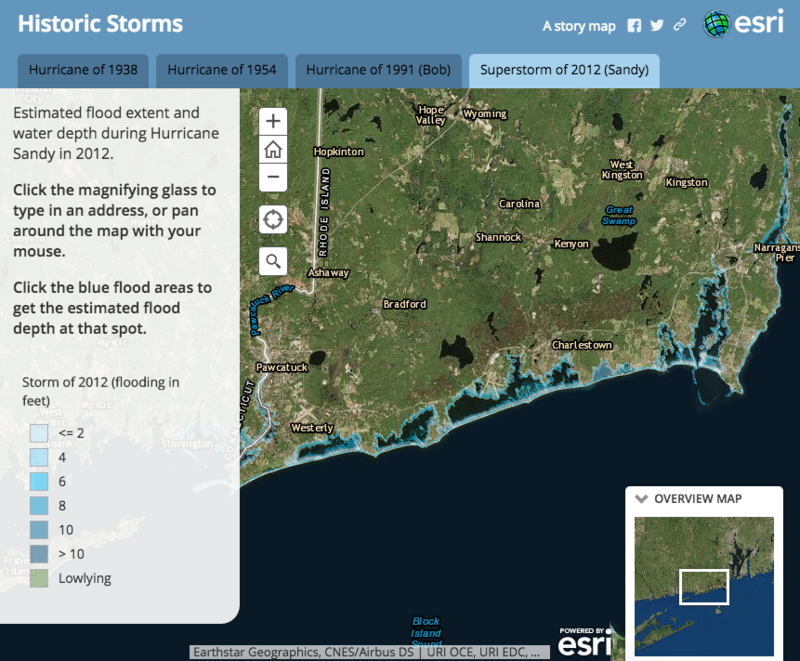 STORMTOOLS shows coastal inundation projections from storm surge inundation and sea level rise. STORMTOOLS is a method to map storm inundation, with and without sea level rise, for varying return period storms that covers all of Rhode Island’s coastal waters. Will projected SEA LEVEL RISE affect my property? STORMTOOLS f or Municipalities is a one-map stop for Rhode Island’s municipal officials and decision makers of Rhode Island to better understand their risk from coastal inundation. This map provides information on flooding impacts from storms and sea level rise, as well as information on the location of critical infrastructure, coastal structures and population density.